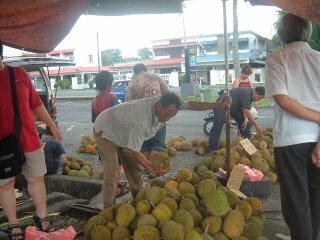 Loong and I decided to 'hatam' the durians on the road side and that's what we did exactly, tried and ate on the sport, YA..........!!!!!!!!!! It was very nice of Loong to treat me to the durians. After we selected what we want, we went to Jackie's Kopitiam to have our durians. I will alway remember these good times that I had in Kuching. One of these days I have to try these durians out. Hopefully I time the season right. 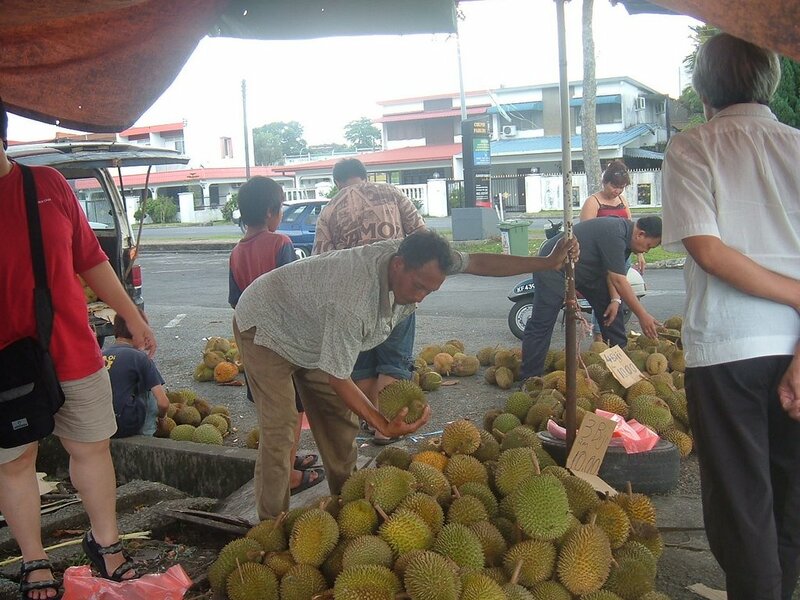 Helo, my dad, aunty and uncles all like durians. As you say, can even eat on the spot. I am not a durian fan, but there was this one time, we had a family dinner at a restaurant (outdoor), the owner of the restaurant just came back from someone's durian farm. It was in a pick-up, there were lots of it. My uncle bought some (forgot how many), we had the durian after our dinner at the restaurant. At first was not that keen, but gave it a go, i surprised myself, i ate a lot. Until to full to move..hehe. 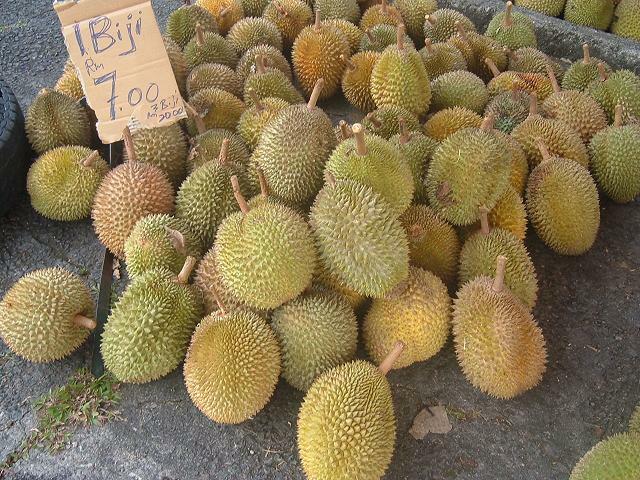 I am a durian addict :):).